It's time to learn some real kidskillz! How to spin a basketball on one finger . . . and much more! If you've got to be a kid, then you've got to have this book! Joe Borgenicht is a writer and producer who has co-authored several books, including The Action Hero's Handbook, and Mom Always Said "Don't Play Ball in the House" and Other Stuff We Learned from TV. He lives in Salt Lake City, Utah, with his wife, son, and dog. David Borgenicht is an editor and the co-author of the New York Times best-selling Worst-Case Scenario Survival Handbooks. 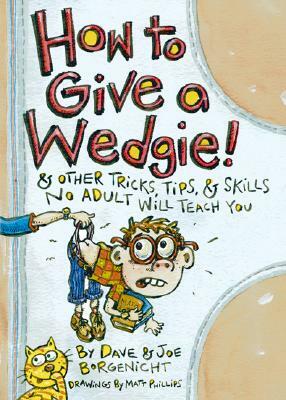 Through these books he hopes to impart his vast knowledge of wedgie-giving, juggling, and contest staring on a world-wide level. David lives in Philadelphia with his wife and daughter.